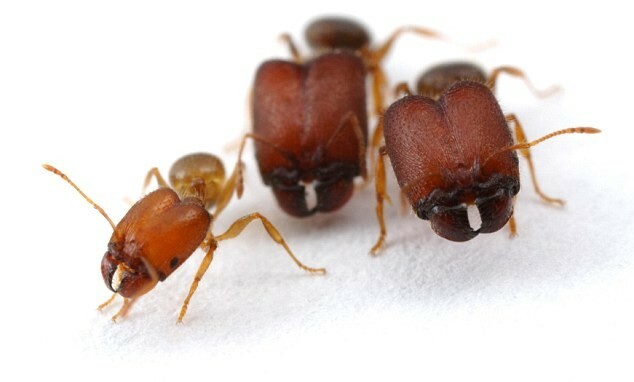 Super-ants with huge heads and jaws have been created by Canadian genetic scientists. These freaky ‘supersoldier’ ants are man-made, and were created in the laboratory by activating ancient genes in the ants. Scientists say they can create the supersoldiers at will by dabbing normal ant larvae with a special hormone – the larvae then develop into supersoldiers rather than normal soldier or worker ants. Scientists believe the monster ants may be a genetic throwback to an ancestor that lived millions of years ago. 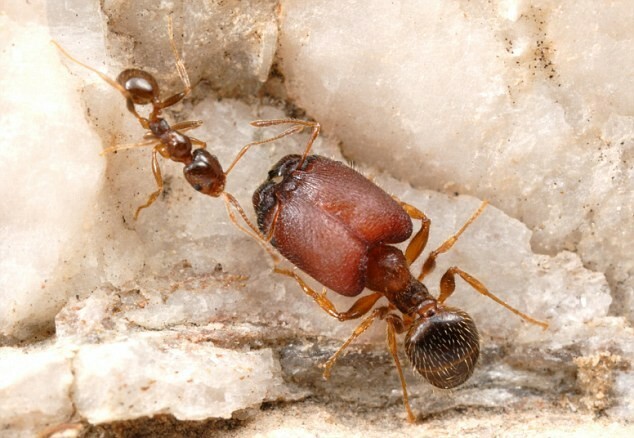 Supersoldier ants can occur naturally in the wild, but only rarely. In the deserts of America and Mexico, their job is to protect the colony from raids by invading army ants. They use their enormous heads to block the nest entrance and attack any enemy ants that get too close. The research is reported in this month’s Science journal. (Rajakumar, R. et al. Science 335, 79–82 (2012). The results suggest that holding on to ancestral development toolkits may play an important role in evolving new physical traits, say the researchers. Killer bees, killer tomatoes, what next. Oh, great, that’s all I need invading my house, a bunch of man-made monster ants created by genetic scientists… Yikes! I have enough trouble with those little piss-ants; ha-ha!